Hey, Magi! I’m pleased to announce that I am one of the presenters at the WellAttended Summit, a FREE online convention that will take place on November 1 – 4, 2018. It’s a series of video interviews about strategies for achieving success in various aspects of showbiz. Each day of the Summit, the video interviews will go live at 9:00am and be available for 24 hours. Over twenty professional entertainers, producers, and actors will be sharing their secrets on how to navigate the road of a career in showbiz. You’ll learn step-by-step marketing strategies, how to book more gigs, how to sell out shows, and more! Pour yourself a cup of chai, settle into a comfy chair, and start learning! Don’t want to wait until November? Get access to all of the lessons right now for only $167. That’s only $8 per video! When you get the WellAttended Summit, you can watch all of the videos at whatever times work for you. You won’t miss a single talk! Watch all 21 video interviews at your own speed. Replay your favorite lessons again in the future. This is an extraordinary value, as you’d pay thousands of dollars to consult with these experts individually. But you’ll invest only $8 per video when you purchase the WellAttended Summit today. And when you book just one show or sell ten tickets based on our speakers’ advice, you will recoup your investment! 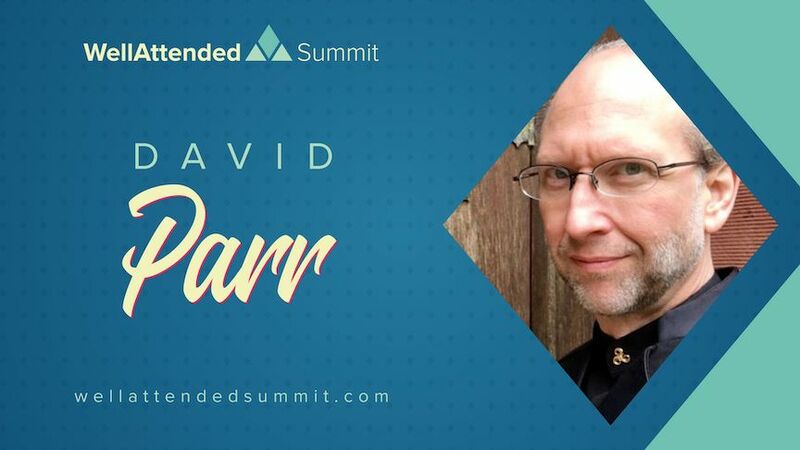 Visit https://wellattendedsummit.com/david-parr/ to get the entire WellAttended Summit for only $167. This pre-sale won’t last long. I’ll see you at the WellAttended Summit!